What's with all of these simulator games lately? Obviously, the only one you need is Goat Simulator. 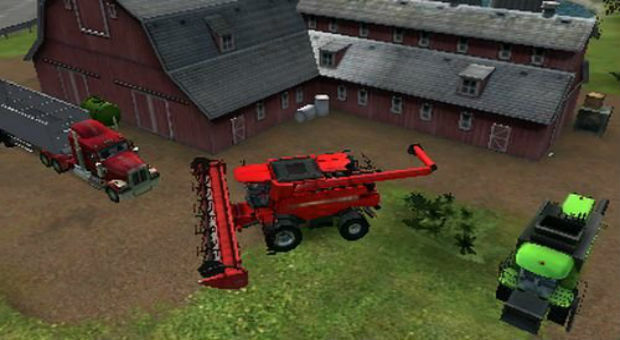 If you're still hankering for some digital representation of boring, everyday tasks, Farming Simulator 14 is making its way to 3DS. It's exactly what it sounds like, too: a game where you work with farming machines, plant crops, breed farm animals, and work to become the best little farmer you can be. I'm not ashamed to say I'm kind of interested in checking it out, at least if it's got similar mechanics to the plenty of other sim games I've played in my time. It'll be available May 24, so you'll have plenty of time to become acclimated to the simple life, like Paris and Nicole. Wow, that was a weird time for television.